A beautiful watercolor painting of Tiptoes Lightly and Company by artist Michelle Hunt. It was commissioned by Laura Wiesmann Hrubes as a present for her son—he’s a Tiptoes fan. You can view Michelle’s work here. Thanks, Michelle and Laura! I have decided to carry this painting as an art print. They are 9 x 12 (the size of the original) plus a 1 inch border to allow for framing or pinning on the wall. Printed on bright white cotton 220 gm archival paper. Price $29.95 + $6.95 shipping. Contact me if interested. 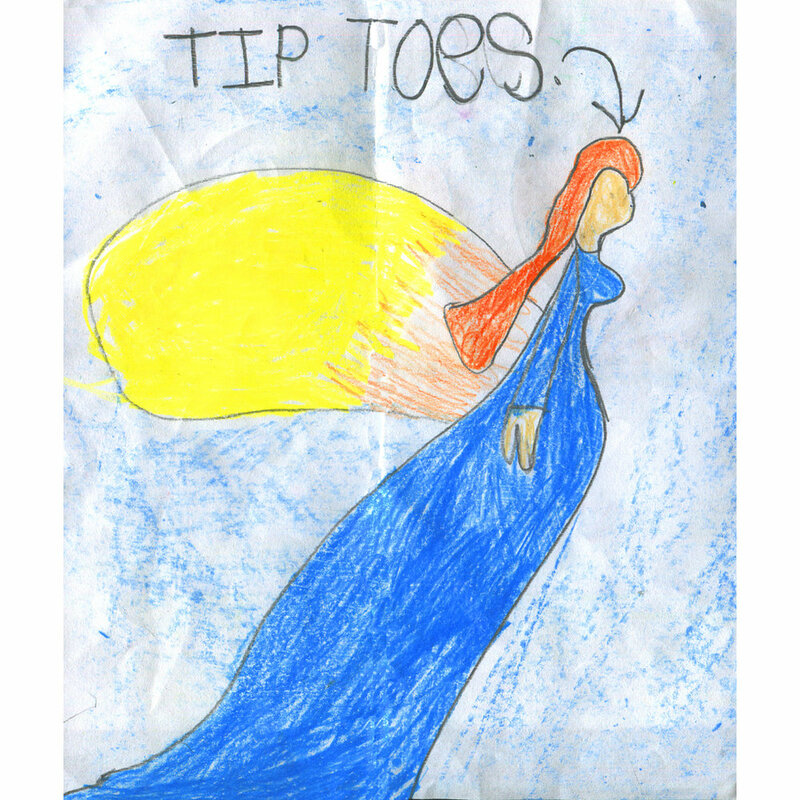 A lovely Tiptoes and friends drawing I received from a young lady called Phoenix who lives in the Philippines. Thank you, Phoenix! Stuck in a Pumpkin - better believe it! For those who thought the story of Pumpkin Crow in The Tales of Tiptoes Lightly was too silly to be true (he got his head stuck in a pumpkin) have a look at this young lady with her head stuck in a pumpkin - too funny! 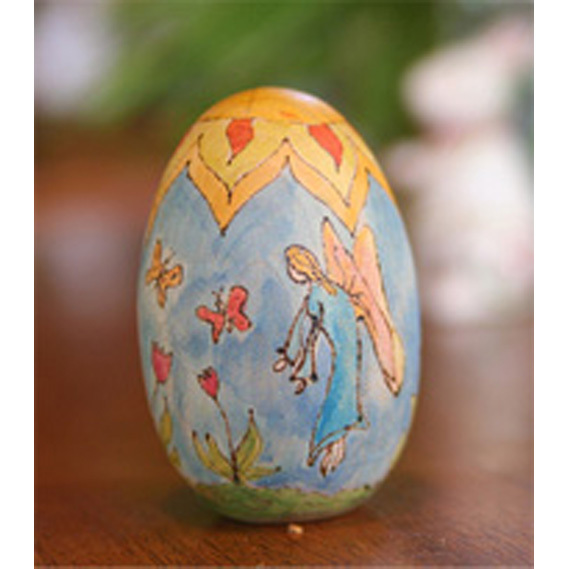 Sara of Love in the Suburbs did a neat wooden Easter egg paintings with Tiptoes and the Great Oak Tree. Go check out what she's been up to! 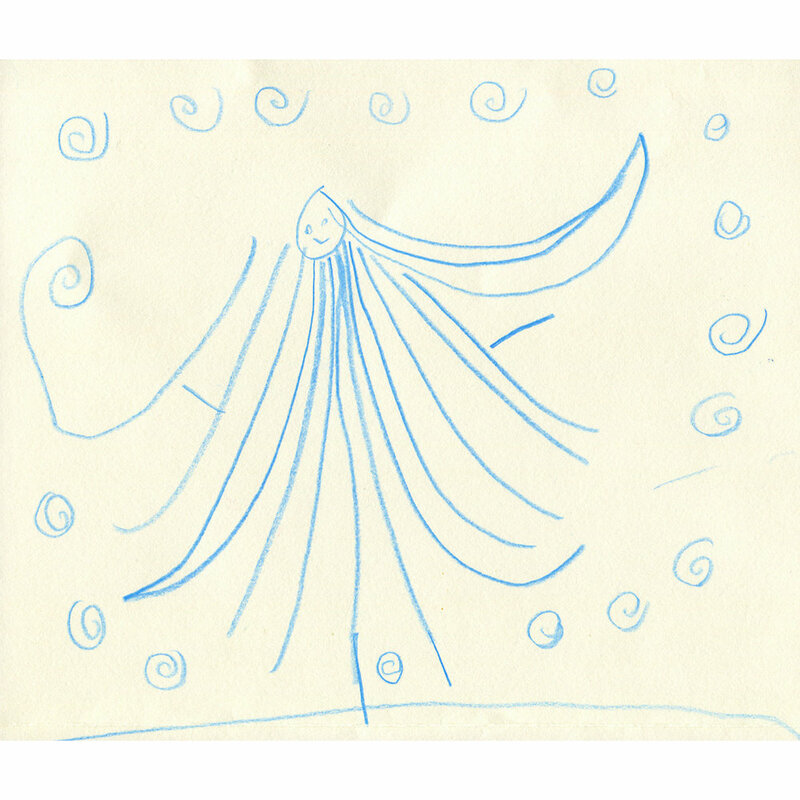 Here's a drawing of Her Ladyship, Tiptoes Lightly, by Audrey, daughter of a manager of a store that carries Tiptoes' tales. Thank you, Audrey! A drawing by Mala in Nevada City, California. Thanks, Mala! Tiptoes is delighted!